GAME OF THRONES PRO Stern (USA) Set up, plays! Never Convolux, shaker, speaker light kit...10/10 partout. Que du bonheur ! CACTUS JACK'S Gottlieb (USA) Sold Apr�s 5 ans, on en a fait un peu le tour, alors il est temps pour lui de faire le bonheur d'une nouvelle famille. En tr�s bon �tat, �lastiques silicone, aucun d�cors cass�, rampe gauche neuve fournie. Un tr�s bon alpha, musique et animation tr�s sympa, pour les jeunes et les moins jeunes. Cl�s et notice fournies. ELVIS Stern (USA) Sold Plateau sans usure en partie �quip� leds sous inserts. MUSTANG PRO Stern (USA) Sold Flipper en tr�s bon �tat. THE FLINTSTONES Williams (USA) Sold Plateau 10/10, aucun d�cors de cass�, z�ro erreur, caisse non d�color�e Leds sous plateau, dans les maisons et la t�te du dyno. 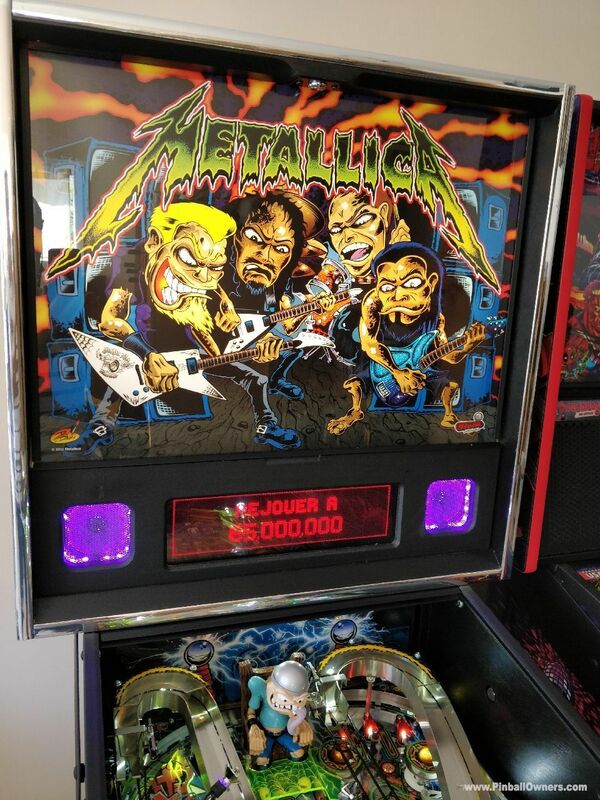 DISCLAIMER: This page shows the pinball machine Collection of PinballOwners member fred77 from SALAUNES, France. 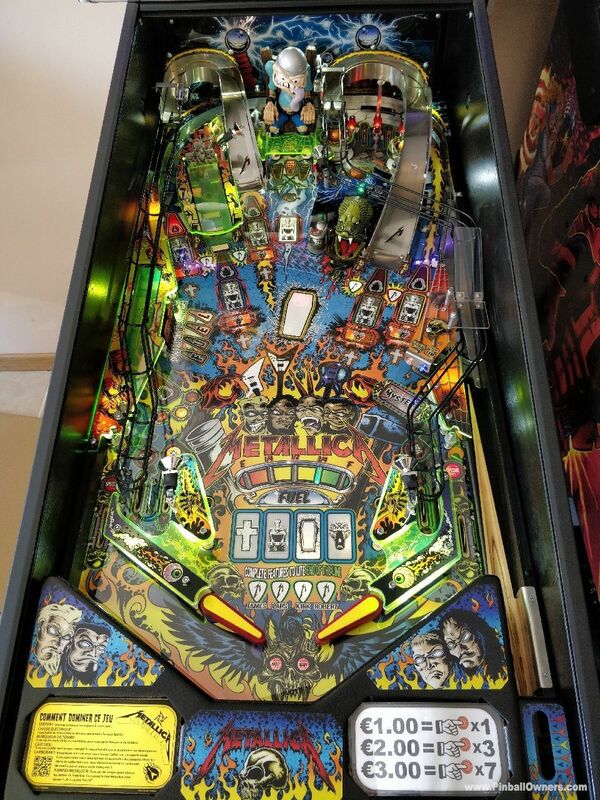 The coin operated pinball machines listed above, including their images, were uploaded into our database by fred77 himself; fred77 is the sole responsible for the information contained in this page. The pinball machines shown above are not necessarily for sale! Please refer to the 4th column in the list to know whether a certain pinball is for sale or not. Most likely fred77's pinball machines are second-hand (used) pinballs that were once installed in bars and other public places; their value as a collectible largely depends on appearance and functionality of every single machine. Excellent Fred, la collection s'agrandit, faudra que je passe voir ce T2 car j'y ai encore jamais jou�;) bon courage pour la restauration.